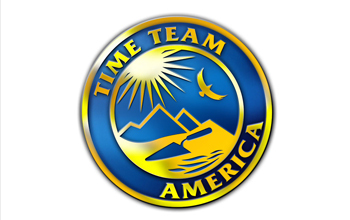 "Time Team America," a four-part primetime series, gives viewers an over-the-shoulder look at archaeology. Bringing a colorful team of experts, a kit of high-tech tools and old-fashioned elbow grease, "Time Team America" helps solve archaeological mysteries at significant sites around the nation, presents authentic and ethical archaeology, and showcases the science and technology that intersect with archaeological research. Episodes include "The Search for Josiah Henson," where the team peels back layers of an old kitchen floor on a Maryland plantation to tell the story of one of the most important Americans of the 19th century, whose 1849 autobiography inspired Harriet Beecher Stowe's novel "Uncle Tom's Cabin" and galvanized abolitionists; "The Bones of Badger Hole," where the team excavates what may be the largest Folsom-period bison kill site in North America; and "The Lost Pueblo Village," where the team explores the Dillard site, a village that was home some 1500 years ago to people of the Basketmaker III era, a culture that advanced itself with technologies like farming, pottery, and the bow and arrow. Explore the archaeology sites and learn more about "Time Team Amercia" at : http://www.pbs.org/time-team/home/.